Although the Luxembourg Garden is probably the most famous of all the parks in Paris, there are other smaller and bigger gardens and parks in every corner of the city. 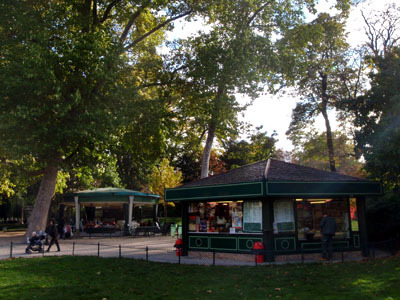 Parc Monceau is one of the better known ones – still, it is much less visited and more laid back. Located close to Champ Elysees in an elegant and quiet residential area, it is off the main tourist path and this definitely adds to its charm. Popular with locals – families with kids, couples and elder people – it is a nice place to retreat. Open from sunrise to sunset and there is free Wi-Fi. This entry was posted on November 21, 2010 at 12:33 pm	and is filed under Destinations & Sights, Paris. Tagged: Arc de Triomphe, Champs Elysees, nature, Parc Monceau, Paris, park. You can follow any responses to this entry through the RSS 2.0 feed. You can leave a response, or trackback from your own site.